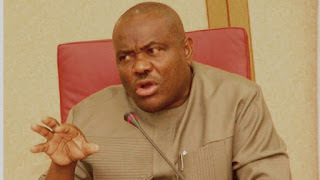 The Rivers State Government has berated a national Leader of the All Progressives Congress, APC, Bola Tinubu for allegedly accusing the state Governor, Nyesom Wike of luring his Sokoto State counterpart, Aminu Tambuwal into defecting to the Peoples Democratic Party, PDP. The state government described Tinubu’s comment that Wike lured Tambuwal with the promise of getting him the PDP presidential ticket as unfair. Rivers State’s position was contained in a statement issued on Monday by the Commissioner of Information and Communications, Emma Okah. Noting that the state governor had a culture of respecting elders, including Tinubu, Okah accused the APC leader of not reciprocating the gesture. According to Okah, “Governor Wike has not discussed the political ambition of Governor Tambuwal with Senator Tinubu any day and so Senator Tinubu cannot rely on mere rumour to speak unfairly about the governor in the way he did. “Tambuwal is a matured adult who has the capacity to take critical political decisions for himself without prompting from Gov Wike.